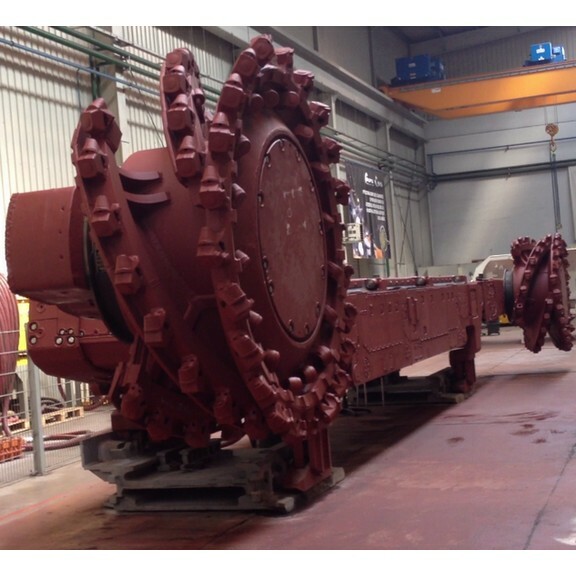 EBZ35 series Roadheader are equipments that are developed, promoted and applied by Shandong Carter Heavy industry Co.Ltd based on the producing situation of middle, mini coal mines. This model has reliable performance, simple structure, and small size, light weight and easy transportation. (The minimal entry diameter of vertical well is: 1.6 meter). 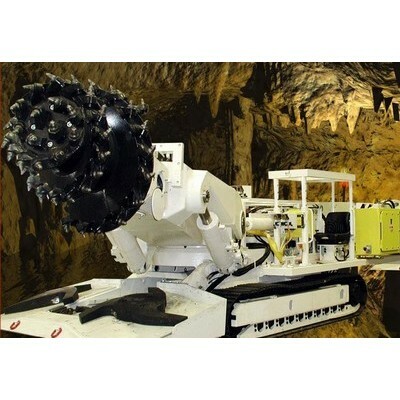 This model is mainly fit for the quick road-making on the small section of mines and exploiting in hard and loose coal situation (the minimal section is: 1.7 M wide, 1.7M high) EBZ30 series Roadheader has already gotten the country patent, making up the blank that there are none track-model digging machines for special well roads of middle or mini coal mines in our country. Choosing EBZ30 series Roadheader will bring you countable economic benefits and social benefits. This machine has compact body and has scientific structure, high reliability, which make it fit for making roads of middle size level wells. Because of using the design of modularization it’s convenience to transport, remove and install to the well. The loading way that hydraulic motor directly drive star-wheels, increases the reliability of loading structure and decreasing the breakdowm rate. Using reliable track walking structure and specifications, it needs less maintaining work. The track plates adopt military technique, hard and enduring. 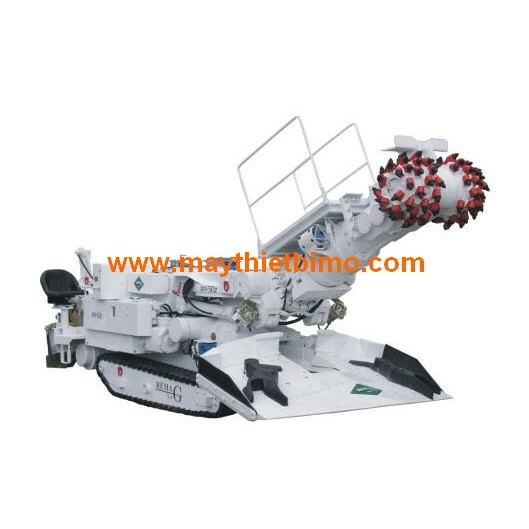 Considering hard working situation for the cutting teeth; the machine adopts a dynamic design, analysis method and new manufacturing craft, raising the whole machine performance of teeth body. The hydraulic system adopts an automatic oil supply system, airproof fuel tank, insuring cleanness of oil liquid. Filters at the entry and exit of oil circuit, automatic stopping valve and special valve on the filters, further increase the credibility of hydraulic system. The electrical system adopts programmable controller (PLC), and adopts the way of combining the electronic protection and chopper protection to protect the machine and it has strong function and has the functions of examine work condition and diagnosing the problems, making the fast diagnosis and exclusion of the problems. Imported high-carbon steel cutting teeth and cutting motor, strong and enduring, raise the work efficiency greatly. The special design that has already applied for patent—Triple Direction Supporting Structure, can promise the stability and the safety of operation. 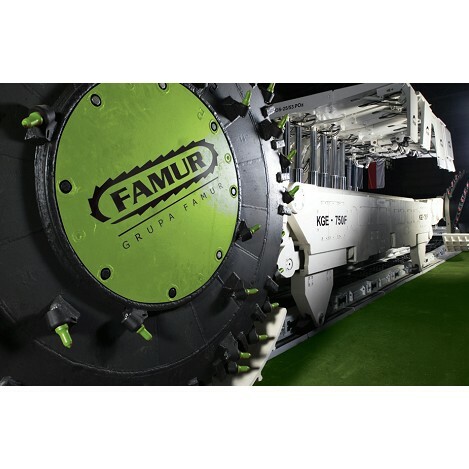 The double-chain track loader promises smooth materials transportation. The imported hydraulic motor and loading bucket plank that is constituted with high strength plank can insure the materials delivered quickly and exactly. 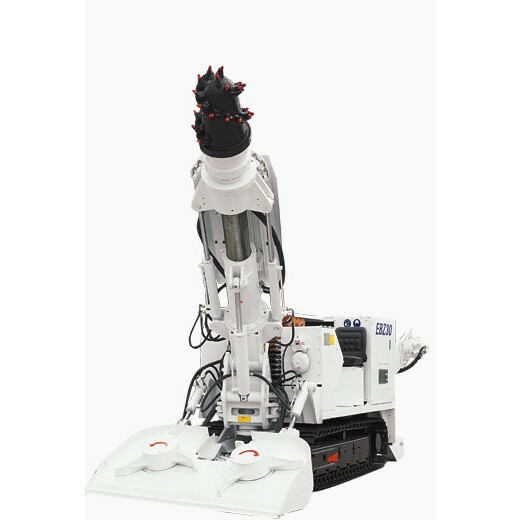 The powerful rear supporting structure can stop machine body from gliding backwards and reduce the vibration of the body during operation.